Here’s how a typical kiwi museum starts. A highly enthusiastic individual starts fanatically collecting (hoarding) everything around him and becomes a local legend. Another visionary and enthusiastic group of individuals decides the collection should be seen by the public and needs a big shed to put it all in, so they form a Board and call it a museum in order to qualify for any Government funding that happens to be dripping from the nations coffers that year. 20 years later the visionary collector and the enthusiastic supporters die, followed shortly afterwards by the remainder of the Board, taking with them key institutional knowledge of the museum’s reason for being. The new Board wanders through the museum scratching their heads at all the rusting displays, whilst becoming involved with the family trustees over ownership of the artifacts. Emotions can run high and feuds can erupt within the museum community and amidst the drama, the original intent of the museum can get completely lost. Meanwhile the Local Body become aware that the organization is disintegrating and start reducing funding; the Board reacts by cutting back on the wrong staff members and hire a museum fixit pixie at a fraction of their predecessor’s salary. This is a worst-case scenario. An organization with succession planning helps absorb the shock of change. The loss of a single staff member can often turn a successful business into a mess within one financial month if their institutional knowledge is not shared. Likewise a board with a confused vision risks employing a CEO that will never be able to understand or implement their vision. Small organizations such as museums need to factor in the career development/ pathway of their staff. It’s a manager’s responsibility to foster staff and move them through their careers. It’s not normal in a small organization to retain the same four core staff for 20 years for example. However with good succession planning any of them could leave without causing a hiccup within the organization. Could you cope if your accounts person left suddenly? Funding is getting harder and harder to get, and councils are getting tighter. If you lost funding and had to ditch staff and it came down to curator or collections manager who would you chose? These are big questions that small museums and art galleries are facing around the country right now. The key to succession planning is ensuring that your organization has really good work processes and systems in place, so that the organization can tick over if there is a change in leadership. However an organization cannot go for too long without a leader. It also involves building capacity within your existing staff, ensuring that they could ‘step up’ and accept additional duties temporarily whilst recruitment is in process, or recruiting internally. In small organizations crucial knowledge can be lost with the departure of one staff member and in lean economic times important roles such as IT and Health & Safety, are often overlooked. Don’t be surprised if staff decide to leave – expect people to move on, and plan for it. 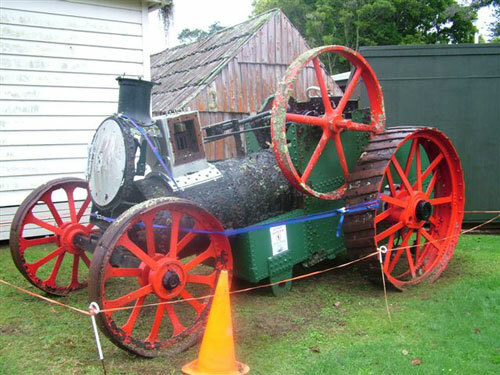 Image: A static engine that had to be deaccessioned because it had little significance to the Museum or district and had turned into an OSH hazard due to its deterioration.